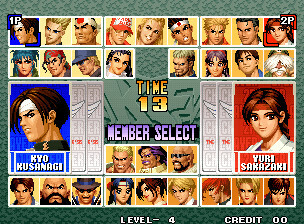 Play Chizuru & Goenitz (Neo Geo CD): At the character selection screen, hold START then enter: ↑ B → C ← A ↓ D . The two characters appear. Run in the opposite direction: During a dash, enter ↖ then hold → .